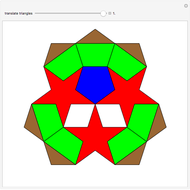 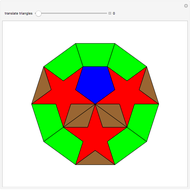 This Demonstration shows Varsady's dissection of a regular decagon into three pentagrams and eight pentagons. G. N. Frederickson, Dissections: Plane & Fancy, New York: Cambridge University Press, 1997 p. 213. www.cs.purdue.edu/homes/gnf/book.html. Izidor Hafner "Dissection of a Regular Decagon into Three Pentagrams and Eight Pentagons"